I have the best job anyone could ever have! Orthodontics is so challenging and rewarding. Working with so many unique people makes it a pleasure to go to work every day. Seeing a patient's smile when we are done with treatment is the best! I strive to give each patient a beautiful smile and a positive outlook that continues with them in all aspects of their lives. It is amazing how changing a smile can change a life. It is special to meet a new patient who has an awkward smile and I can envision the beautiful smile they will have when they get their braces off before we even start treatment. Getting to know my patients and what interests them on a personal level is also very important to me. We love to joke around and have a lot of fun! Continuing education is very important to me and in the office in general. The benefit to the patients is that we stay up-to-date with all the current trends in our industry. This lets patients know that they are receiving the best treatment available. Taking more than 60 hours of continuing education each year, allows me to provide the most current treatment options that are best for our patients. I am in two study clubs, the Hoosier Orthodontic Forum and our local dental study club, which keeps me sharp. I also give presentations on orthodontic treatment planning that are reviewed by other dentists and dental specialists. 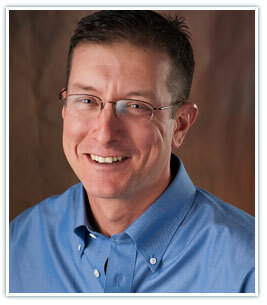 We have a really great office staff that are always smiling and great patients with a smile. They are a joy to work with! Both Dr. Frazier and I are blessed to get to work with an awesome group of caring ladies. We have a lot of fun and joke around while working which makes for a relaxing atmosphere. I volunteer at the local health clinic and provide dental exams and arrange care for those patients. We provide pro-bono orthodontic treatment through Give a Smile Foundation and Donated Dental Services for patients who can't afford it. Our family attends church at Dayton United Methodist Church. I also play in many charity golf outings and enjoy coaching youth baseball and basketball. 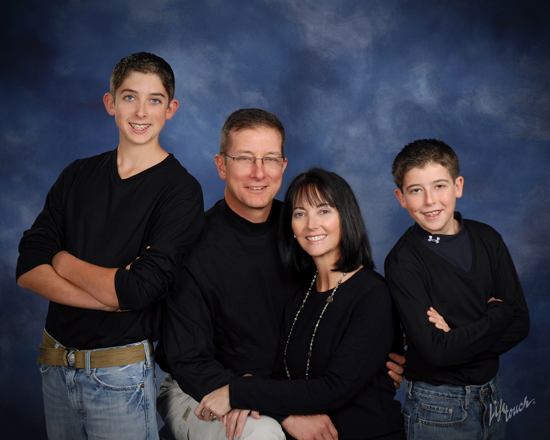 My lovely wife is Michelle and we have two awesome sons, Austin and Beau. We also have a yellow lab named Gauge and a black lab named Jet. I absolutely love being outdoors! I enjoy golfing, fishing, hiking, and pretty much anything that gets my family outside. Fun Fact: I met Michelle at an IU/Purdue basketball game after she scalped my roomates tickets and sat next to me.